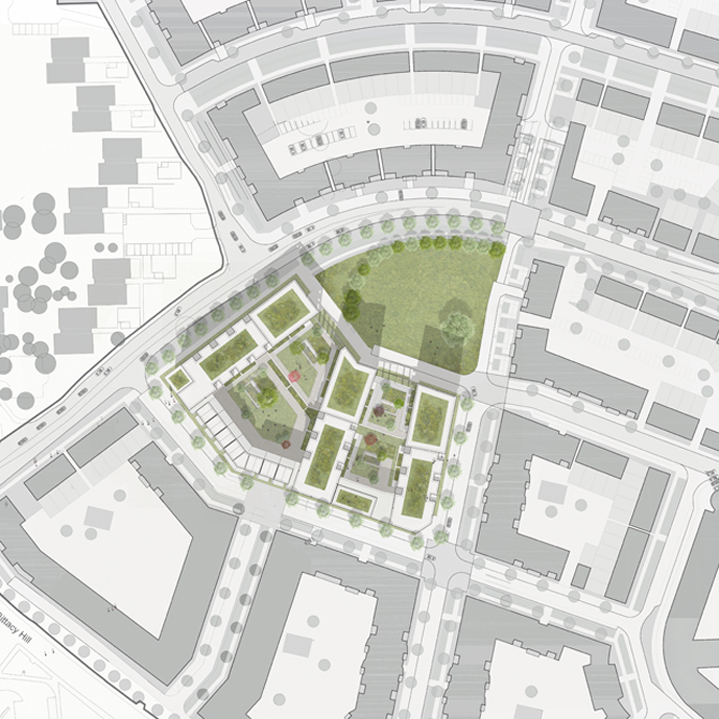 This scheme was a competition entry to provide 180 new homes on a site within an outline approved masterplan in North London. Our approach was to assess the outline approved scheme and to see where improvements could be made in terms of layout and the schemes relationship to the surrounding context, in particular the proposed new park to the north. The scheme breaks down into a series of recognisable typologies. The first of these are the ‘Parkside Pavilions’ which address the new park, to these pavilions a series of three ‘Mansion Buildings’ are added to complete the linear arrangement. 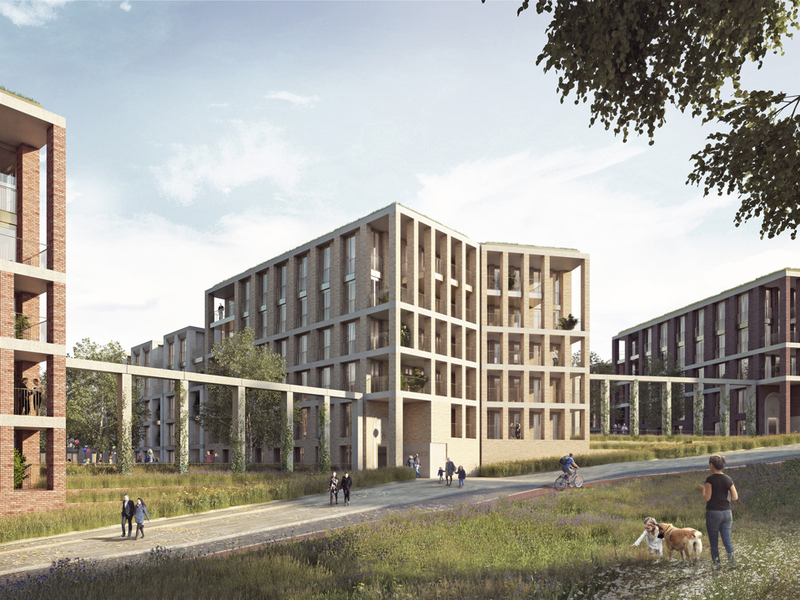 The third element are the ‘Villas’ that line the street edge to the south and add variation to the scheme in terms of their form, façade treatment and scale. A number of benefits arise from arranging the buildings in this way. 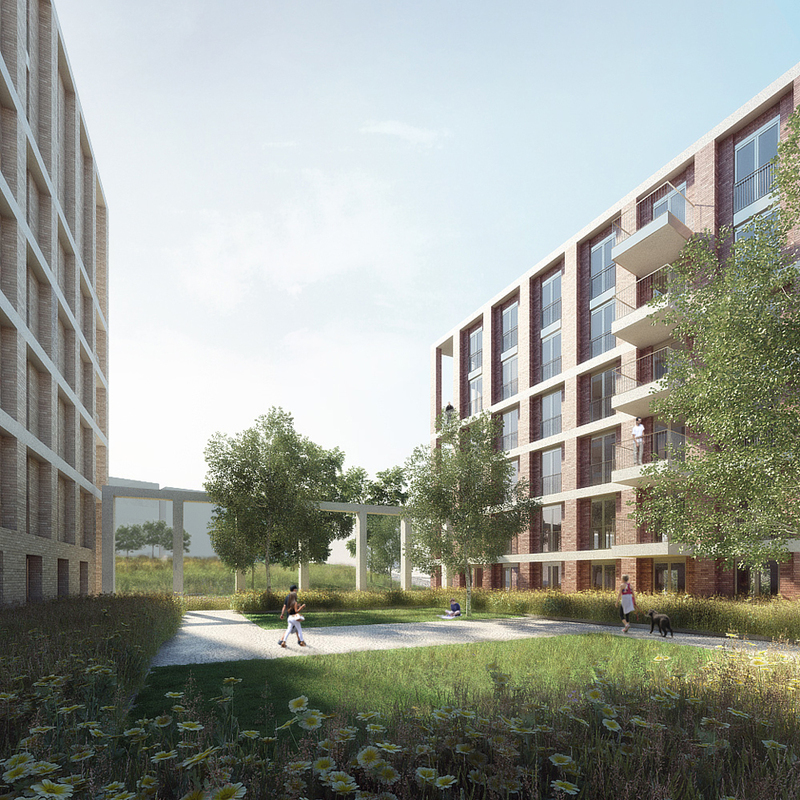 Firstly they form a series of generous courtyard garden spaces that connect physically and visually to the new park to the north, secondly they open up views towards the new park for all of the residents to enjoy and thirdly it allows all of the homes to enjoy good levels of daylight. 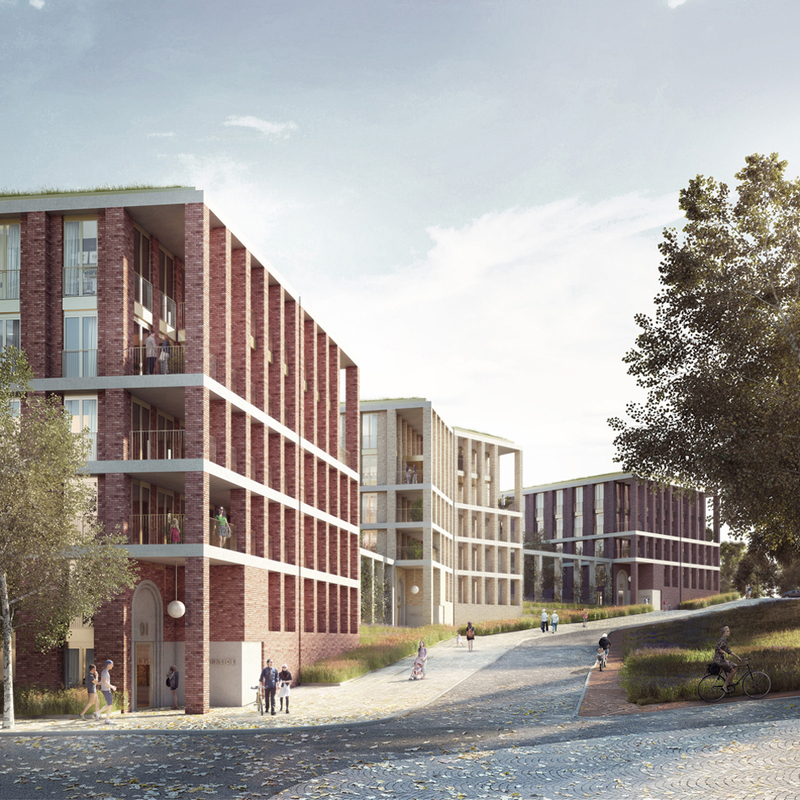 The simply framed brick and concrete façades to the Parkside Pavilions provide articulation through depth, light and shadow on this key elevation fronting the park, whilst also offering a degree of enclosure to the balcony spaces which sit within it. These buildings are related by their tripartite composition but differentiated by their brickwork and height. To the central pavilion an angled façade was introduced to mediate between the two site geometries whilst also offering difference that registers its status at the centre of the scheme.